As Rotherham take stock during the first international break of the season, boss Paul Warne cannot help but reflect on what might have been. The Millers have acquitted themselves respectfully on their return to the Championship and have taken six points from their opening six games. 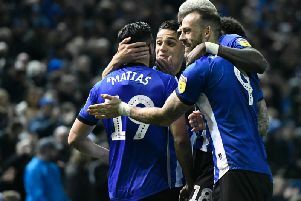 They earned narrow wins over Ipswich and Millwall but suffered defeats at the hands of Brentford, Leeds, Hull and Wigan. The losses against the Tigers at home and at Wigan last weekend were particularly frustrating for Warne, who felt his side should have added to their tally in both games. “You always want more points,” he said. “In my opinion, and I am biased, if we’d played to our best against Hull we would have won and we were more than deserving of a point at Wigan. “It’s frustrating to me that we could be sitting on 10 points and instead we’re sitting on six. “The lads can't feel sorry for themselves, it is my job to pick them up and I can do that willingly. Part of Warne's approach is to set an average points per game target and if the players hit it at certain intervals they are rewarded. The boss has not divulged what it is this season, but the average needed to stay up in the previous 10 years of the Championship is 0.98, while the last five times Rotherham have stayed in the division they have done so having averaged 0.89 points per match. Warne added: “It's disappointing and I know loads of teams could say, 'If only that happened', but we are a little bit unlucky not to have more points. Meanwhile, Semi Ajayi has arrived in Seychelles ahead of Nigeria's Africa Cup of Nations qualifier on Saturday. Ajayi, who has played in both defence and midfield for the Millers this season, is eyeing a first senior appearance for the Super Eagles.